Godaddy Economy Hosting plan is the most popular shared hosting plan offered by the company. Godaddy is currently promoting this plan all over the internet and getting a positive response from their customers. The Godaddy Economy Hosting cost $2.99 per month when you buy it, and it renews at a price of $7.99 per month. Under the current promotion, you can subscribe to Godaddy Economy Hosting plan for just $1 per month (Click here to activate the $1 per month offer). 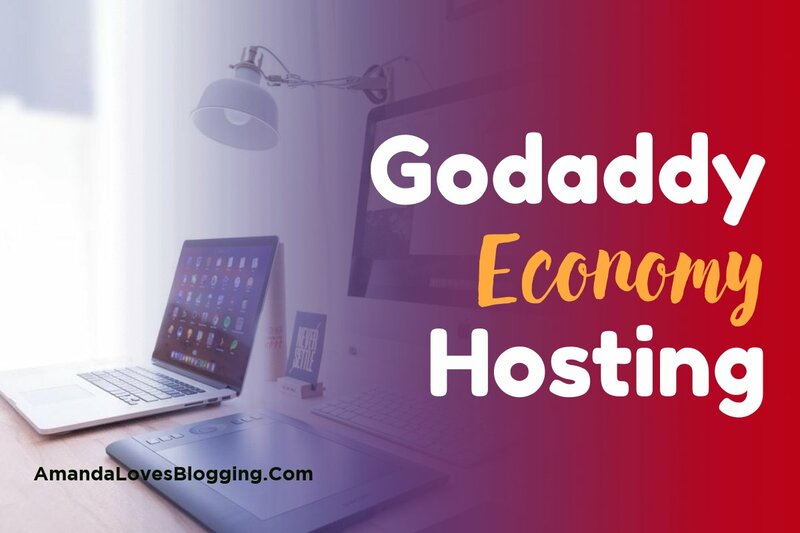 Economy Hosting from Godaddy is available on Windows and Linux platform. You can a Free Domain name when you subscribe for 1 year. Godaddy is also offering one business email account for one year with this plan. 3 How to Buy Godaddy Economy Hosting for $1 Per month? 4 Can I Host Multiple Domains with Economy Hosting by Godaddy? 5 Is WordPress Supported by Economy Plan? 6 What is the difference between Godaddy Economy hosting vs Deluxe? Here are some features of the Economy Plan that are enough to convince you to buy this plan. 1-click install support for 125+ popular applications including WordPress, Joomla, and Drupal. Here is our review of the Economy plan offered by Godaddy. We are using Godaddy’s Economy plan for few our websites from last 4 years. The best thing we have noticed about Godaddy’s hosting services is their uptime. In last 4 years, we don’t remember that when the last time our website was down. Godaddy commits to offer 99.9% uptime guarantee and they offer it every time. The second best thing about Godaddy hosting is the performance. This very website that you’re using right now is hosted with Godaddy. You might have noticed that the website is running quite fast. The third good thing about them is their control panel. Godaddy offers industry know control panels with Economy hosting plan i.e cPanel and Plesk. They have further customized the panels to give better user experience to their client. Overall we are quite satisfied with Godaddy’s hosting services. They are truly value for money. How to Buy Godaddy Economy Hosting for $1 Per month? 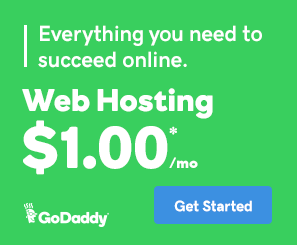 You might have noticed that the $1 web hosting offer is not directly available on Godaddy’s official website. This is because Godaddy is giving this discount only through their affiliates. If you want to activate the $1 per month hosting deal, you can read our article about Godaddy $1 hosting. In the article, you’ll find instructions to activate the offer. Alternatively, you can directly activate the offer by clicking on this link. Can I Host Multiple Domains with Economy Hosting by Godaddy? No, the Godaddy Economy hosting plan allows only one website. If you want to host more than one websites, you can consider buying Deluxe or Ultimate plans offered by Godaddy. Both Deluxe and Ultimate plans support unlimited domains. Is WordPress Supported by Economy Plan? Yes, You can host WordPress website with the Economy plan. To install WordPress, login to your control panel and use application installer to install WordPress. It takes only a few minutes to install WordPress. What is the difference between Godaddy Economy hosting vs Deluxe? The basic difference between the Economy and Deluxe hosting plans is the support for the number of hosted websites. With the Economy plan, you can host only single website whereas with the Deluxe plan you can host unlimited websites. Both the web hosting plans are suitable for low traffic websites and come with a free domain name with the yearly subscription.